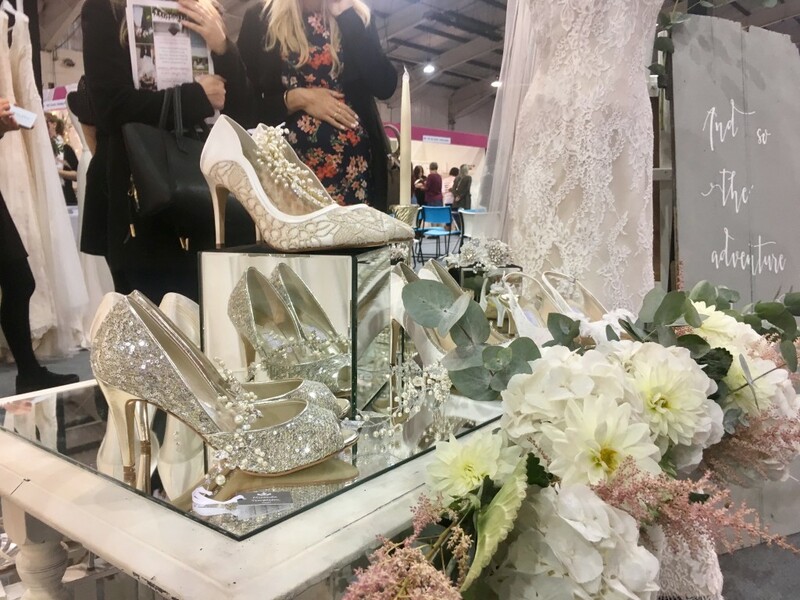 Anyway, a couple of weeks ago, as part of our wedding planning, we attended Bride: The Wedding Show at Westpoint Arena in Exeter. 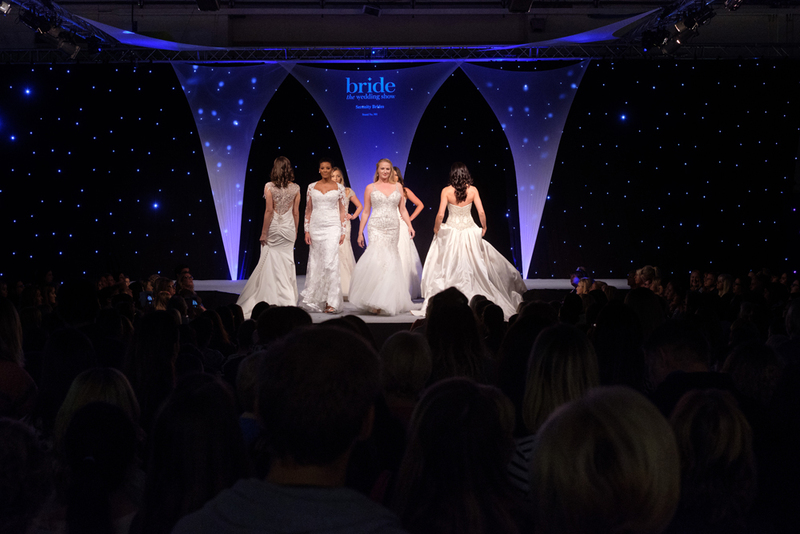 I’d been nagging him for ages about attending a wedding fayre but didn’t think he’d paid much attention, then he surprised me with two tickets to the South West’s premier bridal exhibition – Bride: The Wedding Show. Over the two-day period, there were 4000 people in attendance, and it’s easy to see why – it was an incredible event. 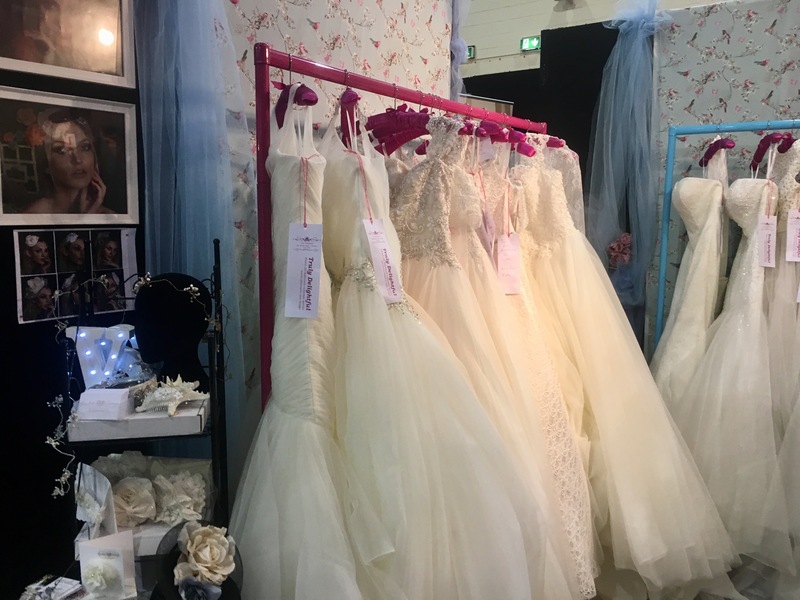 As well as having over 170 local exhibitors in attendance, from wedding cake designers to bridal boutiques, there was also an impressive wedding show featuring a combination of bridal wear, bridesmaid’s dresses, and groomswear. We arrived at Westpoint a little after the event started at 10am, and were surprised to see a queue snaking its way out of the entrance. We knew that the show was popular but we had no idea it would be that busy. Luckily, the queue moved fairly quickly and within five minutes we were inside the arena and ready to start browsing. When we first started looking around, I must admit I was a little overwhelmed – there was just so much to see. 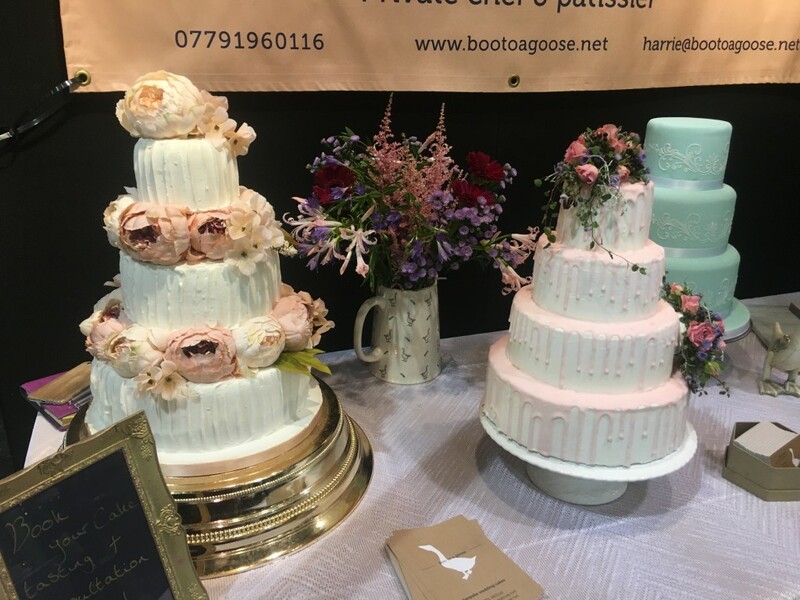 There were stalls packed with wedding dresses of all shapes and sizes, cake stalls showcasing various styles and flavours of wedding cake, and everything in between. 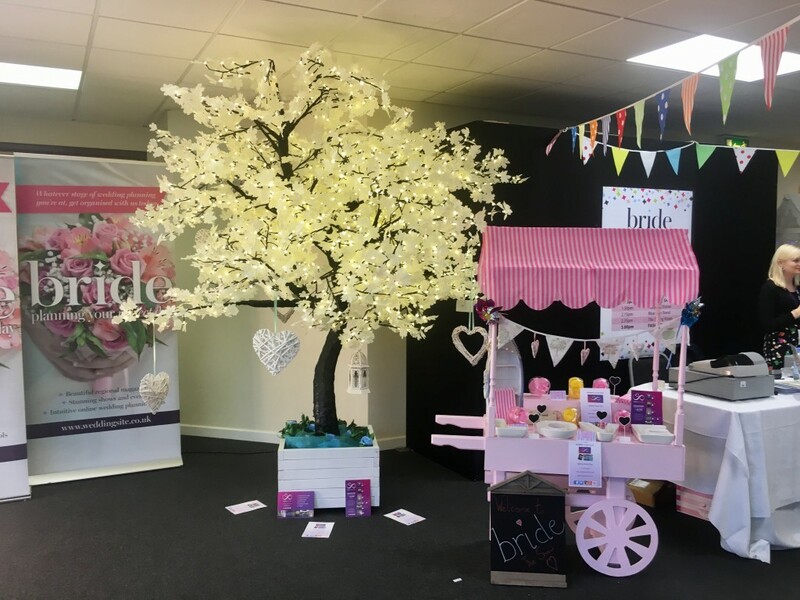 The first stall we ended up stopping at was the West Country Wedding Planner stall, where we met the lovely Emma, who was kind enough to talk us through their services and how they could help us plan our big day. I already have my heart set on the church in the village that I grew up, but we’re quite stuck on reception venues. So chatting to Emma was really helpful, as she told us about some venues near the church that we’ve picked that we didn’t know about. She even told us about another stall holder who was in attendance who offered quality marquees for low prices. The next stall we headed over to was Tom’s Funky Tents – the stall that Emma had mentioned to us. Here we met Tom, who showed us his array of marquees, along with images of what other couples had done to personalise them. 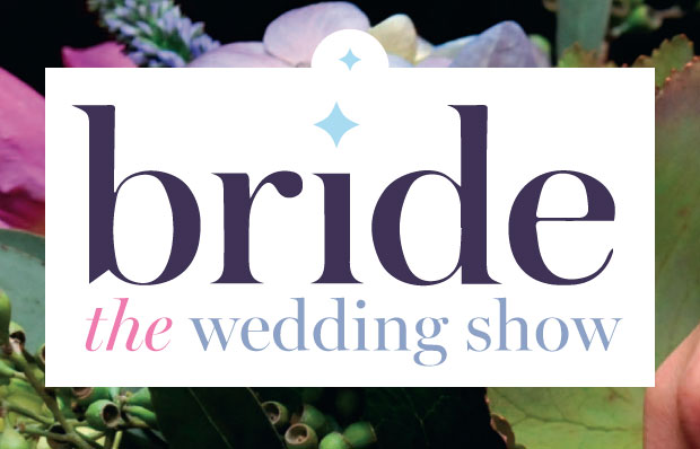 This was great, as it gave us lots of ideas for our own wedding, which was the whole idea of attending Bride: The Wedding Show. Once we’d given Tom our details for a quote, we then continued to browse. After passing by a few stalls, we ended up stopping at a cake stall – Boo To A Goose, where we met the lovely Harrie. Harrie told us all about her cake designs and gave us a better insight into the process of choosing the perfect wedding cake. It was then time for the catwalk show, so we headed over to the stage to ensure that we got good seats. The catwalk show is held three times a day, at 11.30am, 1.15pm, and 3pm – we opted to watch the 11.30am show. Featuring bridal gowns, bridesmaid dresses, outfits for the mother of the bride, and suits for the groomsmen, the catwalk show was fantastic. Not only did it showcase all of the most recent wedding fashions, it was also a lot of fun to watch. The female models were wonderfully elegant, while the male models were incredibly funny. There was dancing, combined with mini comedy sketches, and a whole lot of banter – the whole audience was in stitches. And best of all, I found some local bridal stores whose wedding gowns I love. Once the catwalk show had ended, we grabbed a couple of coffees and continued to browse. From photographers to makeup artists, we saw absolutely everything that we would need to make our big day special. There were various deals and special offers on that many brides were taking advantage of. As I don’t have a date yet, I didn’t want to book anything. However, when I return to Westpoint in March for the next show, I’m hoping to start making bookings for my big day. *Credit for last photograph: Ian Southerin, Location Photography. All other photos are my own.